Time to go hog wild and grab the ham by the bone, plush style. 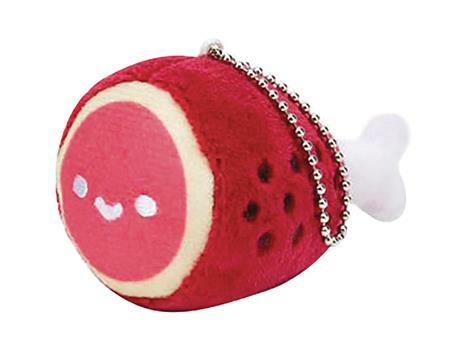 Take this lil hambone friend with you anywhere you go as a cute and soft plushie charm. Just just the detachable ball chain to hang the little plushie on your bag, purse, jacket, keys, review mirror, you name it! Show your pork pride today!